“How to Live the Best Life” from Christian Faith Publishing author David Hawkins is a stimulating book detailing the Christ-like qualities Christians are called to imitate in order to live the best life that God has in store for them—as opposed to the mainstream notion of living “the good life.” The book lays out a blueprint for developing an effective prayer life, nurturing a fruitful relationship with the Holy Spirit, studying Scripture, and achieving excellent mental, emotional, spiritual, and physical health. “How to Live the Best Life” is an inspiring guide for achieving seven goals toward living a life that is Christ-like. 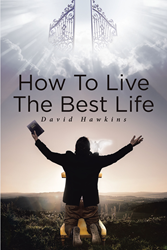 “How to Live the Best Life” is the creation of published author Dr. David Hawkins, a pharmacy and medical school dean and university professor with a long and storied academic career and numerous scholarly publications; he has served as a Bible teacher, an ordained deacon, and a lay leader in Georgia and California churches. Published by Christian Faith Publishing, David Hawkins’s new book is a practical toolkit for anyone who has ever felt God intended more for their life than this. The journey is difficult but well worth it, and Dr. Hawkins’s comprehensive sevenfaceted guide offers a way forward in the Spirit. View a synopsis of “How to Live the Best Life” on YouTube. Consumers can purchase “How to Live the Best Life” at traditional brick & mortar bookstores, or online at Amazon.com, Apple iTunes store, or Barnes and Noble.